1) How do I download video (audio or any other file)? a) Open the desired site in the browser. c) After parsing is over, a list of files will open. In the Links tab, you will find a list of HTML pages that can be downloaded for further reading. On the Media tab you will find video, audio and other files. Select the required desired files and click Download to begin downloading. The downloaded files can be found ion the Files tab. There are too many files on the Media tab. How do I download only the files in the format I need? Click Filters. Select the desired type of files: they will be selected and you will be able to download them. How do I send downloaded files to iCloud? Open the Files tab, select the desired files and click Upload Files. In the menu that appears, select iCloud. Wait for a finished message to appear. Files are uploaded to iCloud in the background, so you will need to wait a while. 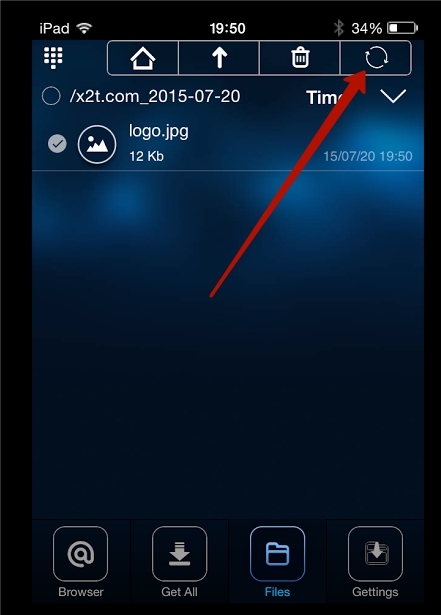 You later will be able to find your files in the GetThemAll folder. Important! Before sending the files, make sure you enable iCloud in your device settings. How do I send downloaded files to e-mail? Open the Files tab. Then select the desired files and click Upload Files. Select E-Mail in the window that appears, enter the address and click Send. How do I send downloaded files to Google Drive? Open the Files tab. Then select the desired files and click Upload Files. Select Google Drive. Log into your Google account. In the window that appears, you can specify a target folder for the files to upload and then click Send. Getting - download manager with interrupted download feature allowing you to finish the downloads even when if your connection to the Internet is lost at a certain moment. Now let’s take a closer look at this very important feature of our software. When you send a webpage to Get All, it goes through an instant parsing that detects and lists all downloadable elements available on it. The Links section lists the hyperlinks to internal pages (you can download and read them when offline) and files of the following formats: .txt, .pdf, .exe, .rar, .zip, etc. The Media section lists videos, pictures and music. Click on the file to view its information. If it is an image, clicking on it will open it. You can download files either one by one or in bulk by choosing the ones you want on your hard drive and clicking Download. Wi-Fi Only – with this option activated, the program will only work when there is a Wi-Fi connection to the Internet. PC Version – if you want the sites to show you regular desktop content (“perceive” you as a desktop/laptop user), activate this feature.